Rand Fishkin: Bravo You Failed. We are so proud of you! - How Great Marketing Works. 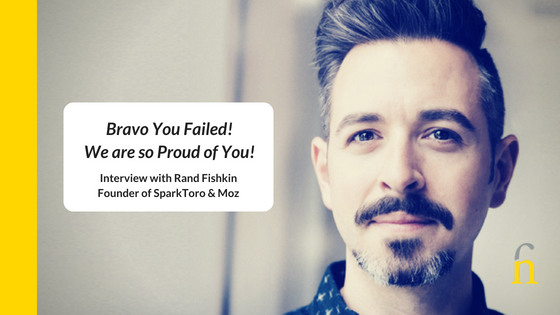 Rand Fishkin: Bravo You Failed! We are so Proud of You! He’s the founder of SparkToro and previously cofounder of Moz and Inbound.org. Rand has had an interesting career as an entrepreneur. He dropped out of the University of Washington in 2000 to work full-time at his mother’s small business marketing firm as a web designer. In 2004, he created the SEOmoz blog, which, over the next decade, became the world’s most popular community and content resource for search marketers. In 2007, Rand became CEO of SEOmoz, Inc (now called Moz), the software company he co-founded with his mom based on the blog’s success. He grew that business to $50M per annum and in February 2018 he decided to start again with SparkToro while launching his new book – Lost and Founder: A Painfully Honest Field Guide to the Startup World. This is his Entrepreneurial Story, or a little bit of it anyway. We talk about Transparency as his Core Value, MVP’s, EVP’s, Services V’s Product Businesses, his book Lost and Founder and so much more. There’s a lot more to his story and what strikes you is his willingness to share that story. That willingness to share doesn’t come from a place of ego. There is no guile here. Only Transparency. His Core Value. Rand has a desire to help others on this entrepreneurial path. He strives for more.. to learn more… to do more and a smidgeon of “to prove more”. If you’ve read his blog you’ll realise he writes as he speaks. He is someone you will always want to meet in person for a significant conversation. I am honored to have interviewed him. I invite you to meet him too in this video of our discussion together. The thing I loved about this interview with Rand Fishkin was his absolute commitment to his own core values of Transparency in the Context of Kindness. He is always learning, is firm yet gracious in his opinions and how he shares them. And yes he is Brave – whether he likes to think so or not. To have walked the path he has travelled takes courage. To pick yourself up after every obstacle and never give up inspires. To share that journey openly for the benefit of others is the mark of a leader. To continue to dream something new, carving new territory tells us he is an explorer and one we believe in. We know he will succeed. Again. Here are Rand’s 3 main pieces of advice for entrepreneurs; all worth taking. Why are you building a business? Why are you an entrepreneur? Are you on this track because you started down it, and now the boulder’s rolling down the hill? Know whether you want freedom from that at some point. If you can dig deeply into that, I think that can truly help you out. For myself, for example, I know that I feel an incredible obligation to prove some people wrong about me, and probably more importantly, to prove to myself that I can do this again. That I wasn’t just a one-time fluke and that I’ve learned something and that I can apply that knowledge. Figure out the Intersection of these 3 Things: Unique Value, Personal Passion and Where Your Customers Are. You are not going to be great at building a marketing practice and attracting customers in a field or through a system that you personally dislike, so don’t do that. Find one that you like. If you find the overlap of those three points, you tend to do a great job with customer attraction. If everyone is doing something one way, or if the prevailing culture around startups and whatever field you’re in is telling you to do something one way, I think it pays almost always to question that and consider whether you should choose an alternative. Thank you Rand Fishkin, for sharing your inspiring story with us! Full Transcript of Interview with Rand Fishkin. Finola Howard: Hi, everyone. I’d like to welcome everyone here, and I’d also like to welcome Rand as my guest for the Inspiring Entrepreneur series. The purpose of the Inspiring Entrepreneur series is to share with other entrepreneurs, no matter what size they are, what this journey is like because typically the journey of an entrepreneur is a roller coaster ride, and I am a firm believer that that’s not necessary. If someone has been there before, there’s got to be a map. This, as I was just saying to Rand just a second ago, this dovetails perfectly into his book because, as he states in the first part of his book, there’s a cheat code to starting a business, and he wants to share it. What I’d like to do is, Rand, let me tell you a little bit about Rand, and I’d also let Rand introduce himself. Finola Howard: Well, I’m aware of Rand for a very long time, and the reason that I’m the reason that I’m aware of Rand for a couple of reasons, which is many people have is his Whiteboard Friday series and from Moz, but also the fact that he has taken something that scares people, which is technology, and he’s added something very human to that. One of the things that I’ve always noticed about you is, and I worked with technology companies and we know lots of things that we say about technology companies, but what I’ve noticed is you move between technology and understanding patterns in how to cheat algorithms, and overcome obstacles, and bring it into a very, very human, and for me as a marketer, a wonderfully human context for everybody else, and you broke the mold with that when you started, and you continued to do that, and I think that’s a mark of who you are as a person and an entrepreneur, and that is why I wanted to talk to you because I like that combination. Rand Fishkin: Well, thank you so much. I really appreciate you having me on the program. Finola Howard: Yeah, you’re very welcome. Why don’t you introduce yourself, Rand? Rand Fishkin: I’m Rand Fishkin. I’m probably best known as the founder of Moz, which is a software startup here in Seattle, Washington that has tens of thousands of customers, and about 50 million dollars a year revenue, and around 160 employees. I started that as a blog initially in 2003, and then transformed that into a consulting company, and then into a product company, raised a few rounds of venture capital, was the CEO for a long time, and then stepped down a few years ago, and just left that company in February, and I’ve starting a new company called SparkToro. I’m also the co-founder of Inbound.org, and I do a lot of speaking and traveling all around the world including a number of events in Ireland over the years, and a bunch in the UK, and Europe. Rand Fishkin: Of course, I have a new book out, Lost and Founder: A Painfully Honest Field Guide to the Startup World, and, yeah, it’s been fun getting that story told, and having that catharsis of getting thousands of people to read about it and empathize and also hopefully get a lot of tactical value from the things that I went through, that we went through as well as, to your point, feeling like they’re not alone, that we all entrepreneurs, almost universally, struggle mentally and emotionally, and many of us physically and that we are not the way, you know, people like Mark Zuckerberg or Elon Musk are portrayed that have no weaknesses and focus only on the business and have this odd, geeky, hyper-masculinity that can come off as very inhuman, but then, in fact most of us are people and most of us fail. Most of us fail pretty hard. Finola Howard: Let’s take a moment for that one because what I’d like to do because, by way of encouragement for people, you started very small. You started a business with your mom, already amazing, okay, but you started as simple services businesses in web development. Tell us a little bit about that really quickly because I know I want to move you through each stage. I think it’s really interesting for people to know you can start this small, and grow to where you’ve gotten to. Finola Howard: Big guys with tattoos. Rand Fishkin: Yeah. Over the course of the next few years as I built that SEOmoz blog, and we transitioned to be an SEO consulting company, we were able to dig ourselves out of that debt and pay it back. It was definitely an extremely hard seven years. Finola Howard: What was interesting for me in reading about this is that the trigger to move you out of that space was something, was a blog, was something you were passionate about, and you wanted to do different, and it was a sideline project. Finola Howard: That, for me, because when I work with clients, and when I work with people, and even in my own experience as an entrepreneur, I find that things emerge as you take each step forward. That our indicators of where the most obvious step is. I mean, I’m a marketing strategist, so I believe in vision and what are the actions you take to bring the vision to reality, but there is a part of that journey that has to be about listening and watching. I love that you moved the business from where it was, which was service-based, and something that you tried, and that there was a glimmer there of something that you could explore, that then transformed the company. What made you realize that this was something that could move? Rand Fishkin: Well, a lot of our web design and development clients and traditional marketing clients had trouble paying their bills and we had trouble getting them to close, to sign, and in SEO, it’s the opposite. We were finding that all of our customers were actually paying their bills on time, and they were seeking us out. We didn’t have to go pitch them. I think that, combined with the fact that we had all this debt, and that any dollars coming in the door, we were just desperate for, that’s really what led us. Finola Howard: Your customers taught you where you should be. Rand Fishkin: Yeah, well and I think it is almost definitely the case that there were plenty of customers that we could’ve gotten in this other sectors. It’s not like web design and development went away, and in fact I would say it was probably a much bigger industry than SEO was. I think that the reality was just that we were providing unique value, we were standing out in the SEO field, and we were nobody special, nobody interesting in this other field. Finola Howard: But you were somebody special and somebody interesting because you were doing something different. Rand Fishkin: …we were doing anything special. Finola Howard: In SEO, you were doing something different. In SEO, you were doing something different because you weren’t hiding the knowledge. Rand Fishkin: That’s exactly right. The reason for the naming convention SEOmoz is because Moz hearkened back to this sort of open source movement by making everything open and available, transparent and accessible, and I wanted to do that for the SEO world, which had always been very closed and insular up until that point. That certainly attracted a lot of customers for us. Finola Howard: To come back to my description of you, right, you had this expertise in the technology and SEO and stuff, but I would propose I’d like to discuss with you this idea that it was your human side that formed the difference. Rand Fishkin: I think what’s really interesting there is I didn’t have much expertise. I got into the field in late 2002, or late 2003. It was not that I was one of the best practitioners, or all that very smart at it. It was only, we could call it the human side or the transparent side, the fact that I was sharing openly about what was working and what wasn’t, about my mistakes, about things that went well, about tactics that seemed to get rankings, about how Google seemed to work. I think that sharing, more so than expertise, especially in the early days is what brought us customers. Then, of course, working with those customers, having success, getting that experience turned me into someone who had a lot of experience, but, in the early days, it was the sharing, the open sharing in this world where everyone was keeping their mouth shut that helped. Finola Howard: This is a theme for you, right? Finola Howard: A theme for you. Rand Fishkin: A little bit. Definitely. Finola Howard: I mean, is that concept of transparency something that evolved from this really difficult scenario of the debt, or have you always been like that, or because it is a part of your offering that transparency? Rand Fishkin: Yeah. I think that actually my historic experiences growing up, and into early adulthood were categorized, or were overwhelmed with a lot of secrecy and a lot of little lies here and there, and then some big lies like the debt, which you could read about of course. I think that those experiences turned me off so much that I went completely the opposite direction. I just 180’d and became this person who has an incredible desire for and desire to create transparency. Finola Howard: How do you think that has been received because there’s some views that it’s not good, and there’s other views that it is good? Rand Fishkin: I think both are correct. There are upsides and downsides to almost any value, and the reason that we have them is because we believe that the good outweighs the bad, and I certainly do, and I think a lot of people share that opinion, and there are those who really don’t. It’s had positive effects. You know, certainly, it’s been wonderful on the marketing and the brand-building side for Moz historically, and I think on the helping people front, it’s helped a lot of folks who learned SEO through the company, and then became customers of the company, but it’s also had some negatives. I wrote about in the book how we had plenty of investors who would read my blog, and they’d read about I wrote about pitching, and that sort of thing, and they’d say, “Look, we don’t want anything to do with you, and I better not read about this on your blog.” It has positives and negatives. Rand Fishkin: That’s exactly right. I think it’s a self-selecting bias that works tremendously in our favor, and this is also true for employees. I think that we’ve had plenty of employees over the years who’ve been somewhere between uncomfortable and very unhappy with my level of sharing. I think that’s actually a sign that probably we weren’t a great fit. Finola Howard: What were they uncomfortable about? Finola Howard: Rand, I know also that there’s a fear of, as an entrepreneur, that you keep this distance between you and an employee because you wanted them to stay, you wanted them to trust you, you want them to believe that you have it all taken care of, then that their job is safe, and so for you to take a leap because from employees, you will hear the story of, “No, we want to know. We want you to share with us when it’s not good.” Then, there are times when, because as part of my work I will do, and from a positioning context, I actually interview the employees as part of a brand positioning exercise because I often find that there’s truth there that’s not always apparent, and it’s a truth that should be shared, so I would’ve heard mixed views on, “I don’t want to know. I just want my job to be safe,” and the other view which is, “I want to know because I want to help you sort it.” How do you decide? Rand Fishkin: I mean, for me the decision was transparency as a core value. It means that we’re going to take, we are willing to accept all of the negative ramifications and consequences of being transparent in order to live up to this value, and then I think your job is to prove that to people. It’s to prove them to customers, and to prove it to your field, and the people who watch you. It’s to prove it to your employees and your investors and your shareholders. Finola Howard: This is also great. It also interests me when we are thinking about developing a product or a service, or, you know, when we’re offering something that is possible because you speak so knowledgeably and passionately about this idea of transparency that in helping another entrepreneur. Isn’t it possible then that who we are as a person is also the ingredient to our USP for our business, not just what we do? Rand Fishkin: Yeah, I think that’s absolutely the case especially if who you are as a person is someone that other people find compelling and interesting and valuable. There’s a lot of ways to be that kind of person, but, of course, my favorites are being open and being kind. Finola Howard: Being kind … That’s really good. Let’s poke at this again. Kim Scott you reference in your book, and this idea of radical candor, not just transparency. Finola Howard: No. I took notes. You have this great graphic, and it’s this idea that it’s not just about being honest, it’s about being transparent, this radical candor. To take it to that end, to that degree, that it’s not just … because being honest gets you off the hook, but being transparent, no. It’s a lot tougher, eh? Rand Fishkin: Yeah. I think honesty is simply telling the truth. Transparency is digging into the how and the why, and then exposing that fully even the uncomfortable parts, the parts that you don’t want to share, the parts that no one asked you about. No one asked for what were the really hard things about this project that didn’t go well. We just said how did it go, and I was just expecting the metrics. I wasn’t expecting you to dig in and say, “Well, behind the scenes with all these stuff … ” That’s the transparent part. I think in Radical Candor, Kim discusses a lot of this idea that you are being forthright and honest with someone about their progress and their feedback, but you’re doing it in a kind way. That you are presenting it honestly, that you’re not hiding anything even if the discussion, especially if the discussion is uncomfortable or hard to have, you’re having it, but you’re never doing it in a way that attacks them personally, or that feels disingenuous, or feels unfair. 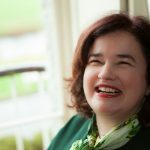 Finola Howard: Do you think you’re brave? Finola Howard: Yeah, with this value. Rand Fishkin: I mean, I feel like bravery is when you put out something and you take a big risk, and I would say that my career has suggested to me that Lost and Founder, this book, would not be a particularly big risk. I think the only uncomfortable risk that I probably cost myself, that I already cost myself that was relationship with some of the leadership at Moz. Those bridges were a little burned already, so Lost and Founder is certainly not going to accelerate that. Finola Howard: But brave in that you took this view because of the debt possibly and the history beforehand, some would say brave and some would say na├»ve in some ways? Rand Fishkin: I’ll take both of those. Finola Howard: I like that you’re okay with that because I think that is inspiring because I think that is brave. Rand Fishkin: Thank you. Definitely one of the things I hope to do with the book is to learn. I’ve never published a book like this before. I had no idea what the experience would be like, and so far, it’s been really extraordinary. I’m very thankful. Finola Howard: It’s wonderful. It’s wonderful, and I recommend it highly. Finola Howard: Let’s move really quickly to your last day at Moz, and you mention on your last day if you were to rate, it at zero, that you were being dragged out screaming or 10, zero out of 10, the 10 would be that everyone loving you as leave, and you rated. It’s funny because as I read each word, I was waiting, and then I was shocked because you said four. Rand Fishkin: Oh, four is not terrible. It’s almost five, almost right in the middle. Finola Howard: It’s closer to being dragged out screaming, you know? Finola Howard: Can you explain that, the ‘losing it’ bit. What has happened? Rand Fishkin: Oh sure… I mean, I talked about this very briefly in the blog post. I think I didn’t get into it in the book, but you know I basically had some personal and professional conflicts with the leadership at Moz. I think when that happens, and you’re not the CEO, you tend to be the person who leaves. We settled on some terms, and Moz was actually very generous to me with the severance package, but, yeah, I mean, that’s a deep, a hard reality, and a tough sadness. Finola Howard: Yeah. Another thing that you mentioned and the one thing that I talk to people about a lot is this. As you grow a business, because you just mentioned the CEO thing, as you grow a business, one of the things I get people to do is to draw this ladder, and to understand where you are at each point. One of the key learnings for me and for a business is that you must be a different person at each stage because what it takes to take the business to the next stage is something fundamentally different than what it takes to start a business. You actually allude to this in your book when you talk about the CEO and vision. The founder is not necessarily the person who can bring the vision to life. Rand Fishkin: Yeah. It’s an interesting conundrum. It does tend to be the case that the most successful venture-backed and bootstrapped technology companies are founder-led, meaning that the founder or founders are still the CEOs. I think you could name a dozen many famous examples. It’s almost always founder and the CEO. That being said, I think that in many cases where the CEO is replaced, there’s a sense from the investors or the board of directors that maybe the CEO doesn’t have the ability to take the company to where it needs to go in terms of growth or management or leadership. Rand Fishkin: In my case, that was not exactly what happened. I voluntarily stepped down. I told my board of directors that I wanted to no longer be CEO, and that I wanted to promote my long time Chief Operating Officer, Sarah, to the role. I did that because I was at that time, and I wrote about this in the book, at the time was depressed, had depression, and knew that that was negatively affecting the company, and a lot of my executive team, and the people around me, and that it was an unhealthy dynamic, and I think I hoped as well that I could overcome this huge life-overwhelming problem by stepping back, and my board of directors was very supportive. Finola Howard: What you mentioned about was also that you were no longer doing the things that you loved. Rand Fishkin: Yeah. I think that is definitely true, and that had been true for a long time, but I think that’s something I’m relatively comfortable with. SparkToro is a great example. You mentioned when we started the call, oh, I’ve been doing this for three months now. Gosh! Has it really been that long? I realized I haven’t done, I’ve barely done any of the work that I love. Most of the work is setting up taxes, accounting, payroll, finance, finding a good attorney, getting all the trademarks. I don’t like any of that stuff. None of that is fun for me, but that has been literally 90% of my work has been whatever operations and setup work for the last 85 days. There you go. Finola Howard: What is your relationship now because I saw that you had a Whiteboard Friday for Moz today, so what is your relationship now with Moz? Rand Fishkin: I wondered about that. I think I filmed maybe nine or 10 Whiteboard Fridays before I left with the marketing team and just said, “Hey, whenever you want to publish these … ” I didn’t actually know that this one was coming out today. Yeah, I’m still the chair of the board, chairman of the board of directors at Moz, and I think my wife and I are jointly the largest shareholder, largest single shareholder at the company. We own just about 24% of that company. Then, I also occasionally will contribute for them. I was working on a product for a long time even after I left called Link Explorer that came out just a couple of weeks ago, and, yeah, really enjoyed working with that too. Finola Howard: You’re still very connected to this thing that you created or this entity that you created. Rand Fishkin: Yeah, in certain ways. Yeah, now that Link Explorer’s out. I think, you know, I asked them if they wanted me to still be part of it, and I sort of got a non response, so I don’t think I’m invited to those meetings anymore, which is fine. I have plenty of other work to do. It’s been a mostly organic disconnect, but there’s still obviously some elements there. Finola Howard: Okay, so I see that there are a couple of questions, so I might just have a look. One is from, I can’t pronounce. My apologies … from Merih Marazari – “Ciao from Italy! I founded a company thanks to Shark Tank Italy, but once we opened the company, what was agreed with the Sharks never happened, and I was left alone. When should you give up if things are not moving as they should? I would lose everything despite having 90%. Rand Fishkin: I mean, I think that is a tough call, but a lot of the entrepreneurs that I have talked to and that I know have actually felt better after they make the decision to give up on something that’s not working so that they can go pursue something new. I think one of the wonderful things that is absolutely true, it’s really tough to leave behind something and just say this didn’t work out, but you have to know that you are not alone. Something like 85, 90% of tech companies don’t return the money that they need to, to their investors, or their shareholders, and so you should feel fine about that. I wouldn’t worry. You’re in a basket with a ton of great people. Rand Fishkin: The second thing I would say is that you’ve learned a tremendous amount. This experience of starting a company that failed, that didn’t work has almost certainly taught you an incredible amount that you now get to go apply to the next company, and so I wouldn’t feel too terrible about giving up on something and saying hey, you know what? I don’t think this, whatever it is, market, product, positioning, approach is the right one, we should go do something else. Finola Howard: She says thank you so much. I learned a lot and thanks also for your book. What I like to also maybe to bring along with this one as we speak about failure because I think in some ways, in Ireland, we’re a little bit jealous of America because failure is embraced as part of the journey. Here, there is a lot of shame and hiding around this whole concept of failure. It’s not equated with learning. It’s equated with failure. Failure is equated with failure. Rand Fishkin: I think doing that, no matter whether it’s an entrepreneurial venture, or whether it’s a failed relationship, or a failed job interview, or a failed attempt at making great brisket, whatever it is, there’s a wonderful, wonderful thing that says, hey, we’ve all been there. We accept your failures. Don’t worry about it. You learned. You’re going to make it great next time. Finola Howard: We have to learn that, Rand, because there are few people … It’s not in our DNA. We would have to learn that. We’re good at learning, by the way. Rand Fishkin: You know, for Americans, apparently, it’s in our DNA to kill school children with guns every week or two. You know, that’s something that we can’t seem to get out of our DNA, and it’s clearly much more unhealthy. We’ll all work on it. Finola Howard: Well, when you put it in that context… This idea of ‘Bravo, you failed’, we’ll walk away with that one. Great. I wanted to really quickly because I know I want to move you on. You mentioned why the startup world hates services business, and why you shouldn’t. I remember myself going to funding agencies here about developing a product, and there is a complete reticence, and it’s definitely born also in Silicon Valley. There’s a complete reticence towards services businesses, absolute reticence. In your book, you’ve done some numbers for us, and this is the other thing that I like about you, you actually bring the numbers and the patterns into reality. Talk to us about that. Services versus products. Also, even funding in this country is not for services businesses. Rand Fishkin: Yeah, and I think that’s true in the United States as well. There’s almost no funding for services businesses, but the beautiful thing about services is if you do it right, it self funds. You don’t need an office, you don’t need to hire anybody, you’re the consultant ready when you go out and do the work, and you make the money, and then if you want, you can hire another person and bring them on, and everyone sort of pays for themselves with the work that they do, so services businesses often don’t need a big upfront investment, and the beautiful part about a services business is it provides a lot of value. There are a lot of people who desperately need that help. Rand Fishkin: You learn a tremendous amount as a services business, and that can be, if you want, that can be used in the future to build product, and I think a lot of great B2B, especially a lot of great product ideas come from repetitive manual work that’s done over and over as part of consulting. The other thing that I would say is that, in a services businesses, most of the time, the partner or partners who started own 100% of that business because there’s no investors, and they also own their future. If they want to, hey, we’re making a lot of profit this year. Well, why don’t we pay ourselves more. They can do that. Hey, this thing is growing a lot, why don’t we invest in growth, and then we can sell it. Then, when you sell it, you get 100% of those sales. Rand Fishkin: A lot of the investor-backed situations, you might even say, “Oh, wait. We’ve grown. We even have an offer to sell for 10 million dollars. Oh, but we raised four million at a 2X preference, and we sell for 10, the investors get eight million dollars, and then they get their percentage of the company, which is 30%, so they’re going to get 8.7 million dollars, and we’re going to get 1.3 to split between us. That’s not particularly appealing. You know, I make a quarter of that every year. Why would I sell out for that?,” so really, really different sorts of equations and considerations, and product is not this beautiful savior. It’s just what investors like to see because that’s where they tend to make money. Finola Howard: I like this that you’re bringing people’s awareness to these facts, you know what I mean, because often, again, you hear this all the time. As an entrepreneur, you’re working mostly in your business instead of on your business, and just trying to think about being on your business, and this idea of, you also go in about this in one of your chapters, Beware of the pivot, this idea of choosing wisely at the start, and even thinking from the very beginning of where you want to take the business, so not allowing the market, or customers, or outside influence to dictate your path, that you can choose the path now especially because of the fact that people have been there before, and entrepreneurs do share. We do share, as you said, sometimes over alcohol. Rand Fishkin: Over coffee, yeah, whatever it is, right? Finola Howard: Again, tell me a little bit more about the Beware of the Pivot. You said it’s more important to get star- This is, and you have expletive, but anyway it’s a commonly used phrase that it’s more important to get started than spend months evaluating and choosing the wiser path, and you say no. Rand Fishkin: No. I think that the fundamental thing that this idea of just get started, just get started, I think this is a very American cultural attitude of, hey, look, it’s not about the idea. Ideas are nothing. Execution is everything. That’s crazy. I don’t even know who came up with this, but it is just mind-numbingly dumb. Finola Howard: What is this idea of perfectionism, this fear of perfectionism, of waiting until something, the human thing of I want it to be just right, but it’s never just right. Finola Howard: Let me ask you a question, okay, because you have hindsight now. I mean, I’m in complete agreement with you on this because what I do is my work is about strategy, so I’m in complete agreement with you, but I know the nature of the entrepreneur, and I want you to cast your mind back to when you started, and that frantic time when you were do, do, do, do, do, and head down to get things done. Do you remember that? Were you strategic and were you wise then? Rand Fishkin: No, my God! I was in my 20s. I mean, just everything, all the mistakes possible. The one thing I want to add on this is just that when you start a business, your idea tends not to improve, at least not very much, the thing that you’re doing, whatever you’re building, the market you’re serving, what you’re trying to build. You refine it and get better certainly, but execution, your ability to execute on that roadmap to get better at marketing and sales and operations and product creation, all these things, that improves dramatically, so execution is something where I think you can start low, but if your idea is great, you will be carried forward on the strength of that idea. Rand Fishkin: If, however, you start with a bad idea, you could get great at execution, and still not end up anywhere. That’s where a lot of startups, certainly a lot of tech startups in the US I think that their fundamental idea isn’t that great, but they got started. Finola Howard: Okay, so idea and positioning first, which leads me to my question around the lovely term from the US also and much embraced everywhere, much, much embraced everywhere. In the building that I’m in, Rand, it’s tech and innovation building, so the whole idea of MVP is everywhere, right, Minimum Viable Product, okay? Your thoughts, what are your thoughts? Rand Fishkin: Oh, what are my thoughts? Finola Howard: I mean, it’s an extension of what we’re talking about, but I’d like to talk about it. Rand Fishkin: For a very early stage company, one that barely exists or doesn’t exist yet, I think the MVP model works beautifully, right? You build something that it’s barely functional, that’s just the smallest version of what’s still useful and usable, and then you share that with a lot of people who are potential customers, and you get feedback, and then you iterate. I think that works fine. In fact, I think that’s a really beautiful way to go. Where it breaks down where I think it’s a terrible idea is when you have a large market already, or a lot of the people paying attention to you, and some early stage companies do by virtue of maybe their founders are very well known, or they receive money from this place. They have the attention of a lot of people already, or they just built a huge marketing list before they went out to market. Rand Fishkin: If you launch an MVP in those cases or in a later stage when you have a lot of people paying attention to you, it can be disastrous. Disastrous because nobody gets a first version of a product and says, “Oh, this is pretty crappy, and I don’t really like it, but I can imagine that in the future when it gets much better, it’ll be a really interesting useful product.” No one ever thinks that. No consumer, no buyer of product ever thinks that way. Instead, they think this is crappy. This company must be crappy. They make terrible things. Not interested. Rand Fishkin: You can really burn your reputation by launching MVPs and then iterating and learning rather than privately keeping that quiet and doing the private beta thing, which is what early stage companies do where you show it individually to a number of people and you get their feedback, and then you iterate until those people are saying, “Wow! This is incredible. This is exceptional and I can’t live without it. When is it available? I want to tell all my friends about it.” Okay. Now, launch that. Your results will be much, much, much better, and so that’s why I argued for the Exceptional Viable Product, the EVP over the MVP. Finola Howard: Excellent. What we’ve been talking about are some of the issues, and some of the things that you’ve shared wonderfully in your wonderful book, I’ll give you the plug, Lost and Founder, and I’m really enjoying it because it’s such a nice … It’s an easy read. You write as you speak, which is very nice. Finola Howard: I wish you every best for this. I want to talk now about SparkToro, and I know that you’ve written a blog post about it because my love is marketing, but one of the areas in marketing that I love most is brand, so you decided to call your new business SparkToro. Tell us about that. Rand Fishkin: Oh, sure. You mean specifically about the name? Finola Howard: Yeah. Well, tell us you started the business because also I think it’s interesting where you progressed to because you have done again, you’ve identified an emerging market that is very, very interesting. It’s also interesting in a context today of GDPR and things like, because I think this area’s going to explode. You picked perfectly, so let’s talk about this because it’s the area of influence or audience insights, influencer marketing, all of this area. Tell us first about the business, and I’d like you to share with us the idea of the brand. Rand Fishkin: The basic thing that we kept seeing, my co-founder, Casey and I, we kept observing lots and lots of folks especially entrepreneurs and startups but marketing teams as well is that if you were creating a product that lots of people were already searching for, then you could go ahead and do SEO, and rank well in Google, and that would help you grow, but if no one was searching for the product that you created or the service that you created because it was very new, or because people just didn’t know to look for it, or because search wasn’t a path you instead had to go find who is my audience for this product, and where do they hang out, who do they pay attention to, what events do they go to, what podcast they listen to, what webinars do they attend, what email list are they on, who do they follow, what publications they read, all those kinds of things. Then, you go try and do your marketing there. Rand Fishkin: For a lot of startups, that’s just, oh well, I guess I’ll buy some Facebook ads and maybe some ads on LinkedIn, or whatever it is, but getting in front of your audience organically can be extraordinarily powerful. The big problem that we kept seeing is that a lot of these companies were paying a PR firm to go do this, or they were running a big research survey or something that could cost 20, 30, $40,000 just to get back on the list of here’s where your audience hangs out, here’s who they pay attention to, here’s the publications they read, here’s the events they go to. A lot of the agencies, we talked to, a lot of agencies who do that work it’s slow and manual work that they’re just Googling around and trying to find all these things, about these networks. Rand Fishkin: We thought technology should solve this. You should be able to type in ‘I want interior designers on the West Coast of the United States’ and get back a, okay, here’s what they read, and listen to, and go to, and pay attention to, and then you can select the ones that you want, and build your list, and send that to your client, or use that internally for your marketing purposes. It shouldn’t be tens of thousands of dollars, and it shouldn’t be weeks of work. Rand Fishkin: It doesn’t match our preconceived notions. Finola Howard: Yes, because we think we’re our customer where in fact, that might’ve been just the idea when we’re in our garden shed thinking about it, but when we move outside, open the door, and go, “Hello world,” the world is different, so this is wonderful that you’re doing this. What is it going to look like, Rand? Finola Howard: Taking that idea, the look-alike audiences and stuff, but that it’s not confined to Facebook. Rand Fishkin: Yeah, because Facebook is insanely frustrating. They have all of this incredible amount of data about it, but they’re not going to share anything other than yes, how much would you like to bid on advertising to reach these people? Finola Howard: In light of that because this is about data and we’re on data day here with GDPR, and I mean there’s a couple of things that are interesting. You brought up about influencer marketing, but this whole idea of data and people’s privacy, this is an absolute, something that influences what you’re doing actually. Rand Fishkin: Yeah. We’re not entirely sure to what extent it will directly impact what we’re doing, but I think that it will impact the market in such a way that potentially the value that we can provide becomes greater because people just need some alternatives. My feelings on GDPR, I think there are a few small good elements of it that actually provides some projection right, the ability to request that a company, hey, what information do you have about me, and can you please delete all that information. I think that’s great. A lot of the other protections unfortunately are mostly going to protect Facebook and Google’s monopoly over online advertising by preventing anyone else from being able to get into the field because no one else can get the permissions and store the personally identifiable information, and use that in the ways that those companies will be able to, and they’ve been able to gain so much and grow so much that they’re going to consolidate their monopoly power thanks to this law. Finola Howard: I’d also like to view it that it’s re-instructing businesses to nurture relationships with customers instead of shortcutting. There’s too much what is, I am asked this all of the time, what is the formula Finola. What is the formula? I’m like the formula is your customer will teach you the formula of how to speak to them because they will share with you how they want to be spoken to. If they are not listening, then you … I mean, this will allow you to stop and mindlessly shove in a landing page, an email, an offer … It’s this offer, this offer, this offer … But actually craft something that resonates with the customer, what they need at each point in that funnel. A truer relationship. Finola Howard: I’d like to think that with developments like this, that we’re starting to become more aware, and we have become a bit more aware of how we’ve been manipulated and our data has been manipulated. Rand Fishkin: Yeah. There’s definitely I think there’s an element of GDPR that has come about because people have the sense that they’re being manipulated online, and I think the frustrating part is that there are laws that could have been written to actually address that, and this is not that law. This law does not prevent a lot of the manipulation and abuse. I think it makes it a little bit harder, and it requires a little more legal hoop-jumping through, but I don’t foresee it preventing the manipulation that we’ve all been worried about. Maybe there’s no way to do that, right? Maybe the way to do that is not through legal means, its all of us getting our consciousness up about it. Finola Howard: I like to think this is a step forward, and laws can ultimately be changed and improved, and if we start to think a little differently, we will get closer. Rand Fishkin: I hope so. Rand Fishkin: Of course, my pleasure. Finola Howard: This is the usual question, but I’d like to ask it. If you were to give three pieces of advice to an entrepreneur, what would you share with them now? Rand Fishkin: I would say I think one of the best things that you can do as an entrepreneur is to spend real time on self-awareness, and to try, and understand your motivations. Why are you building a business? Why are you an entrepreneur? Are you on this track because you started down it, and now the boulder’s rolling down the hill, and you’re not sure where it’s going, and it just feels like you got to keep getting up every day and doing that? Sometimes maybe that is because of whatever obligations you have, you have to keep doing that, but at least recognize it, and know it to yourself, and know whether you want freedom from that at some point. Know why you’re building what you’re building. If you can dig deeply into that, I think that can truly help you out. For myself, for example, I know that I feel an incredible obligation to prove some people wrong about me, and to prove to myself, probably more importantly, to prove to myself that I can do this again, that I wasn’t just a one-time fluke, and that I’ve learned something, and that I can apply that knowledge. Rand Fishkin: Second piece of advice … Well, we’ll see. Fingers crossed. Rand Fishkin: My second piece of advice for you is I think that it can really pay to figure out the intersection of three things when you are going out and trying to do marketing for your startup and get customers, and that is where can I provide unique value? Not just where can I provide value, but unique value. I can do things differently that are in this arena that is more valuable than what anyone else is doing in that arena. Where do I have personal passion and interest? If you think to yourself, God, I really hate Instagram. I hate the social network, and I’m not into these photos, and blah blah blah. Okay, don’t make that your primary form of marketing even if someone told you, oh, there’s a lot of customer development that you can do on Instagram. You are not going to be great at building a marketing practice and attracting customers in a field or through a system that you personally dislike, so don’t do that. Find one that you like. If there is a best practices, you should question it. Maybe you should follow it, but you should absolutely question. Finola Howard: There’s a great quote. It’s from a guy called Marty Neumeier, who you may know of, and it’s “When they Zig, You Zag”. Finola Howard: Yeah. I would agree. Thank you for your time, Rand. It’s been wonderful and a pleasure, and best of luck. Rand Fishkin: Thank you for having me. Really appreciate it. Finola Howard: Great. Take care. Have a great day. Rand Fishkin: Yeah. You too.